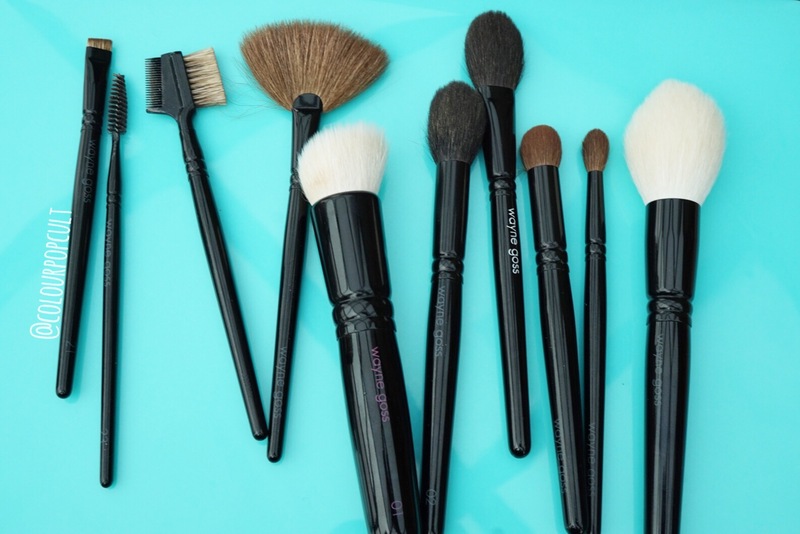 Wayne Goss anniversary set DROPS TODAY AT @beautylish! (Click HERE for early access!) (Amongst a LOT of new releases today!!! Which I’m working on swatching for you (not the new QUAD but the fall edits) and since I don’t have the set yet* (I will sometime today!) I wanted to share you my current WG army (this is not the set!) 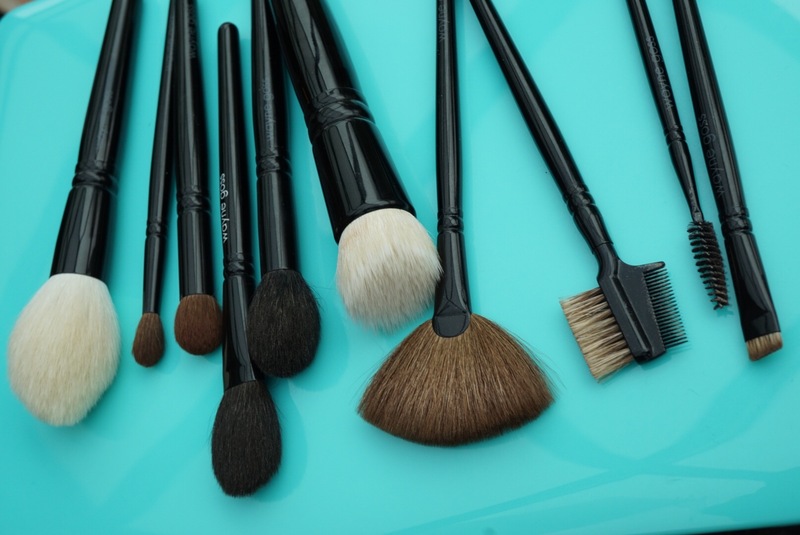 so you can understand the obsession and why his brushes are HG status for me. 1st off the man is a legend and he’s been in the makeup scene way before A LOT of YouTube peeps and is one of the OG honest reviewers out there and tells it like it is, so of course anything he would come out with is nothing less than quality and oriented to be a workhorse. Let’s start before I derail myself into Wayne’s and mine fictional love story that’s only in my head. The Brow set: these came on the annual surprise @beautylish box, I probably wouldn’t have spent on another spoolie and you don’t absolutely need them if you already have a good angle brush and a brow comb thingy : they are great but I’m pretty sure I could’ve done with only the angle brush and used a spoolie of my own. Next up is the Fan brush (# 15) its cruelty free natural hairs and its my fav for highlighters that are powdery – this picks up the right amount and works for a precise application on cupids bow nose and cheekbones. The # 01 on this picture is the actual one being sold on the set (I got a friend to sell me her extra 01 since she had gotten an extra. This is great for cream foundation and its similar to my Hakuhodo 5557 – I cheat with this and use it for ColourPop Blushes because its synthetic blend in a stipling format (this is a “skunk” brush) buffs those babies quick specially its big enough that I don’t have to do a lot just rub once on the blush and apply and buff on the apples of my cheeks. Its meant foundation but YOLO. Brush 02 (this is also on the set.. I purchased this separately) I use for a loooooottt of stuff and I feel I needed a second one because its so versatile: contour powders, undereye setting powder, highliter.. soft as hell too. Next up is the AIR BRUSH this baby is sold out currently and for a reason: its like brushing your face with a cloud. Use this with regular powder blushes, highliters, I have actually used it to set my eye primer and its just the right size to cover my entire lid on one swipe- I never have time for things that require finagling this is easy so it gets used a lot. Brush 16 is one of those dense blending brushes that is slightly too big for the crease but works for blending everything together, this actually works great with my ColourPop matte shadows believe it or not.. I went back to using my fingers to apply Pearlized and Metallics but mattes I still use dense brushes and even as synthetic would be preferable this actually works pretty great and is super soft on my delicate lids (I irritate w everything..) Brush 19 is your standard blending brush, smaller version which works for crease blending and even inner corner blending. Last but not least is the infamous Brush 00 this I just very recently got and I washed but have not used yet! so ill update you when I do!. The new set is launching in a few minutes and the value of it is insane considering all the brushes you get and the fact you can pay it in 3 interest free installments is great for the newbie or the battered wallet this week has left… LINK IN BIO for early access will update when it goes LIVE!